UFC and WEC officially merge. More new, exciting and explosive fights? The UFC absorbed its lower-weight World Extreme Cagefighting promotion on Thursday, adding two championship belts and about 70 fighters to mixed martial arts’ dominant promotion. UFC president Dana White is eager to showcase the WEC’s fighters at 155 pounds and under to a larger audience on the UFC’s higher-profile shows, putting every fighter under contract to the UFC’s parent company under a single banner. The merger will happen gradually in 2011, with every WEC employee moving over to work for the UFC, which has more than 200 fighters under contract. Jose Aldo, the WEC’s dominant 145-pound champion, will be recognized as the UFC featherweight champ, while WEC 135-pound champion Dominick Cruz will fight Scott Jorgensen on Dec. 16 for the new UFC bantamweight title. WEC lightweight champion Ben Henderson will fight the winner of UFC 155-pound champ Frankie Edgar’s Jan. 1 bout with Gray Maynard. The UFC bought the WEC in December 2006 and ran it as a separate promotion, eliminating two higher-weight WEC belts in December 2008 but keeping overlapping lightweight titles. While the UFC does roughly one pay-per-view show per month, the WEC concentrated on lower-profile regional shows typically aired on the Versus channel, doing just one pay-per-view show. White also announced the UFC will add four fight cards to Versus next year, but the elimination of the WEC actually reduces the number of free fights on cable television in 2011. The UFC’s non-pay-per-view shows air on Spike TV. White cited MMA’s continuing globalization as a prime reason behind the move. The UFC is attempting to put on shows in India, China and Mexico, and it hopes to attract the attention of those countries’ fans and smaller fighters alike by presenting a single competitive league. Aldo, the Brazilian featherweight champion, arguably is the WEC’s top fighter. He has won 11 straight bouts, including eight in a row since joining the WEC in June 2008. The WEC’s biggest star in recent years has been Urijah Faber, the former featherweight champion who draws huge crowds to his West Coast fights. Faber is scheduled to make his bantamweight debut against Takeya Mizagaki next month, headlining the penultimate WEC show. "...It was a surreal feeling to be sitting in front of a drag strip once again and the anticipation building as the race vehicles lined up in the staging lanes. 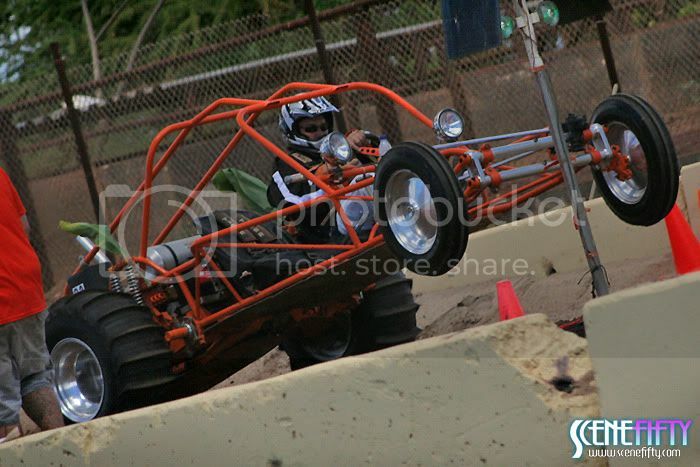 Mini dragsters, dirt bikes, ATVs, trucks and heavily modified race cars took the stage that day as the driver made their passes through the sand filled drag strips. It was a beautiful day indeed as history was made bringing in more than over 4000 spectators to witness the inauguration. Put the pedal to the metal as the next events line-up has already been announced for Kalaeloa Raceway Park!..."